We offer you 3 options to pay your purchase. You can do it with credit card (Visa, Mastercard or American Express), through Paypal or with a bank transfer. In the first two options the payment is done immediately. However, if you want to pay through bank transfer we will prepare your order when we have verified in our account that the deposi has been done correctly. When we receive your order, we prepare the package and we will send it to Envialia, which is the company that is in charge of the delivery. The delivery time will be between 3 and 5 days, for Catalonia and Spain. The shipments abroad may take more than a week. At certain times with lots of work, such as Christmas, the delivery time may vary slightly. The shipping price varies according to the volume of your order and the place you want us to send it. When you purchase some products from our online shop the shipping price is calculated automatically and it adds up in the total price of your order. If you have any problem with your order, please contact us through this email info@bahiguell.com .Write us an email explaining the details of your return. In less than 48 hours we will contact you and provide the better solution for you. How can I found out that that my order was successful? Once you have placed the order you will receive an email with the details of your purchase. When we have your package ready to be shipped, you will receive another email to let you know that your order is on its way. From which countries can I buy your products? You can buy from any country. The price and the delivery time will vary according to the country you have done your order. 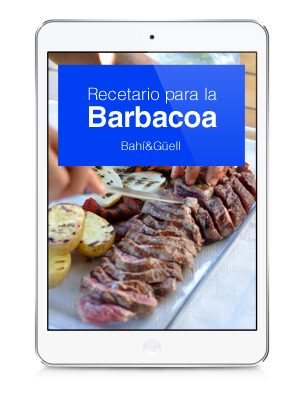 If you have any doubts please contact us at info@bahiguell.com. Is it safe to buy online at Bahí&Güell? Yes, the online purchase is 100% secure in our shop. We take the outmost care that your personal information is managed safely through internet. Your bank details will always be protected. You can buy with total confidence through our online shop. Do the products include VAT? Yes, the price of our online store has the Vat already included.